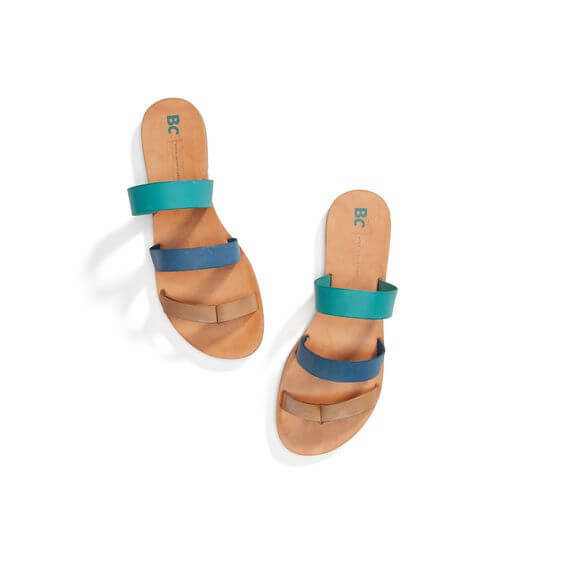 Summertime is the perfect season to show off that fresh pedicure with some fun sandals. Pairing your favorite jeans with sandals is an easy way to channel the effortless vibe of summer. Let your denim set the stage for your shoes: If you’re dying to wear your newest pair of lace-up gladiator sandals, opt for a pant length that will show them off and not hide the silhouette of your shoe. Let heel height dictate the length of your hem: Keep this mantra in mind: The higher the heel, the longer your hem should be. As in, don’t wear stilettos with cut-off denim shorts! 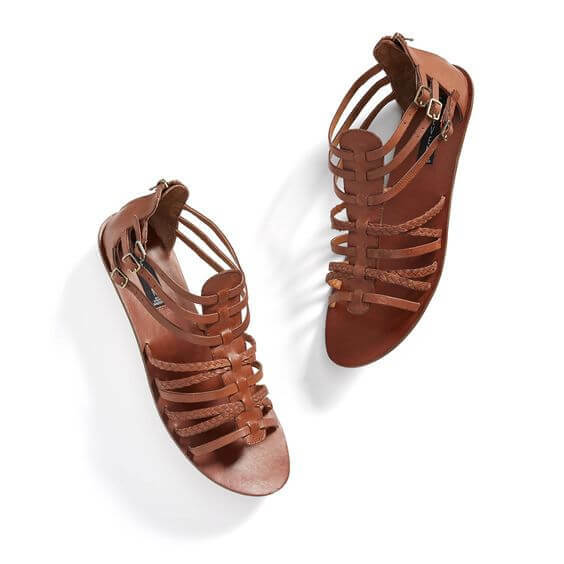 Pair strappy or woven sandals with boyfriend jeans to show off the intricacy of your summer sandals. Opt for flat or stacked heel sandals to give your baggy boyfriend jeans a feminine spin. If you’re wearing skinny jeans, give them a cuff to really show off your fancy footwear. This is also an opportune time to go color and pattern crazy with new summer sandal trends. Wide leg jeans are perfect to pair with peep toe sandals or mules to really let your pedicure pop. Try pairing a bold-hued shoe under your wide leg jean to add a subtle and brightly colored detail to your outfit. Cropped jeans are the best jean to wear if you have a pair of lace-up sandals or ankle strap heels. The shorter hem on these jeans will give your sandals a chance to show off the details that go further up your foot and calf. 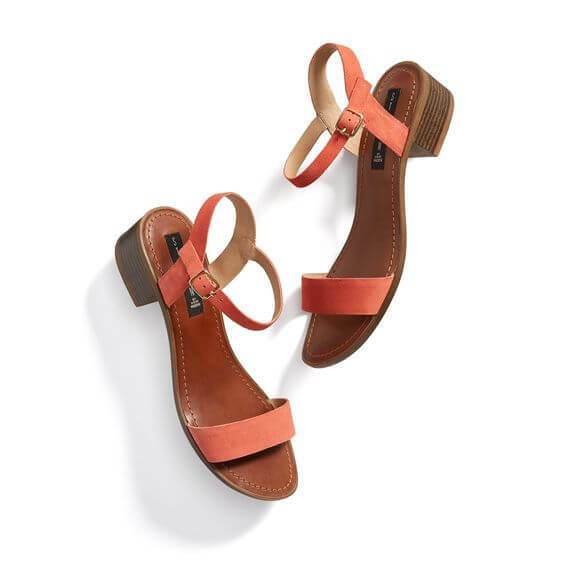 Since sandals are intrinsically a bit more casual, you can wear them with jeans and a slouchy tee or a flowy tank. Try different outfit combinations to see what fits your style best. How do you style your sandals with jeans? Tell us in the comments below!